Image by Flickr user Kodak Agfa, modified by Wikimedia user Jbarta. 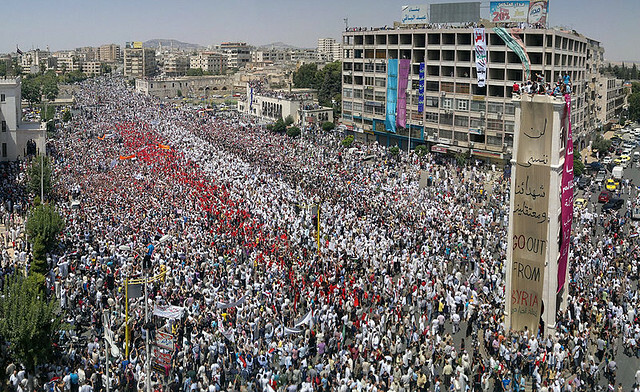 Syrians protest in Hama, July 22. 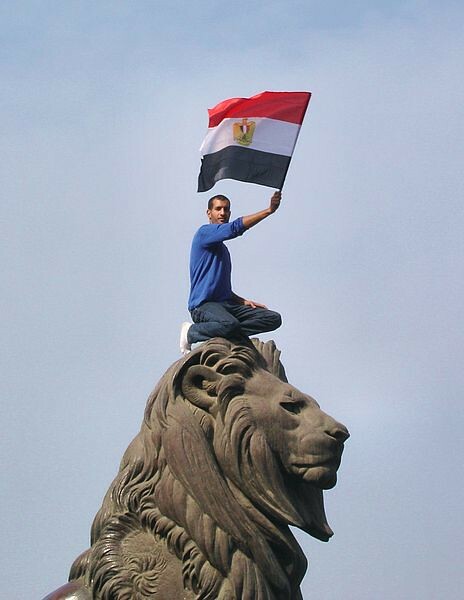 Image by Flickr user syriana2011, via Wikimedia.